Gaithersburg has developed a wonderful reputation as a small town with real charm. Host to many seasonal festivals and the famous Gaithersburg farmers market, this is a beautiful town with a sought-after school system, perfect for young families. In order to make your commute into the city as easy as possible, we’ve located our apartments just minutes away from the Gaithersburg metro station, which services the MARC train. 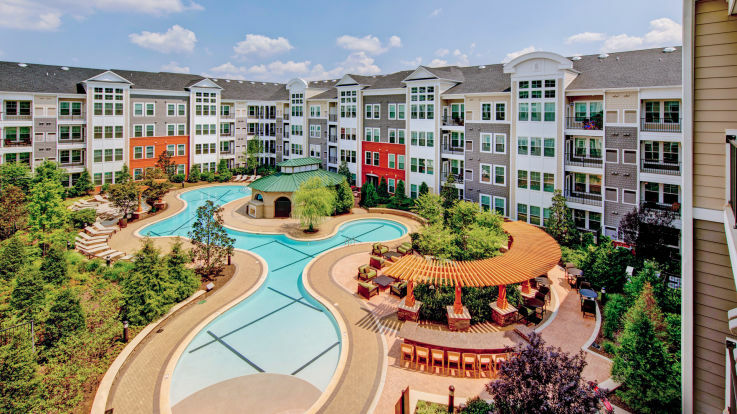 Our incredible Gaithersburg apartments come equipped with incredible luxuries, such as a music room, a lagoon style swimming pool, and an outdoor grilling area. We know that with these fantastic features, your next home in Gaithersburg will be one to never forget.